We guaranteed delivery by Monday, April 29? Order it in the next 10 hours and 50 minutes. 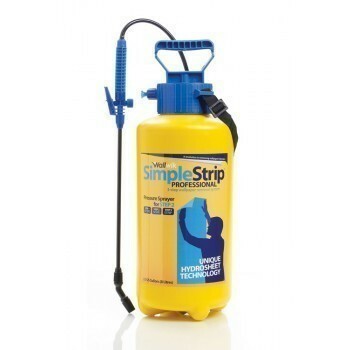 The pump action SimpleStrip Professional Sprayer keeps the HydroSheets moist while they hang on the wall, dissolving more paste, much faster. The pressurised pump sprayer delivers a continuous spray of SimpleStrip Pro Power Solution delivering nothing but professional results. It's features an adjustable stream-to-spray nozzle and at full capacity can store 8 Litres of the Pro Power solution.